Conceived as an imaginary sanctuary in a warm, sunny climate, this design expanded on the simple and timeless idea that a wall, tree and seat, can create an intimate, sheltered and beautiful place of repose. 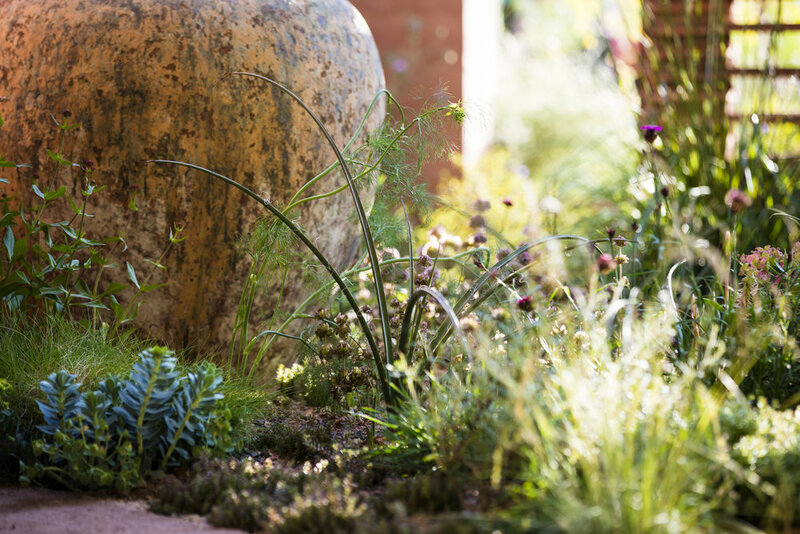 The garden celebrated the expressive and sensual language of colour and texture, light and shadow, using flora from Mediterranean climates and roughly textured materials, such as rammed earth walling and reclaimed tiles. 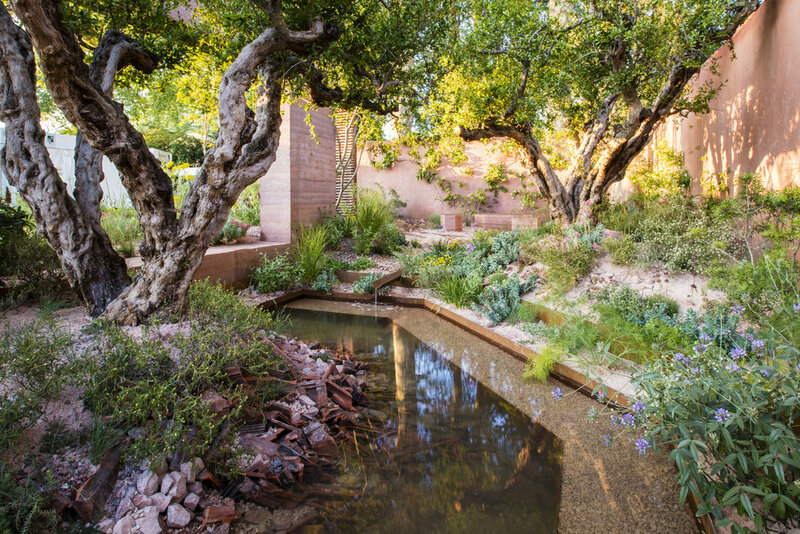 The design composition pivoted around the branching forms of Pomegranate trees. Their rugged forms commanded space and attention and were reflected in the glassy surface of the large pool. Tapestries of ground hugging, scented herbs; Thymus, Teucrium and Satureja punctuated taller, wispy, diaphanous flowers; Catananche caerulea ‘Tizi n Test’, Ridolfia segetum and Athamanta turbith. 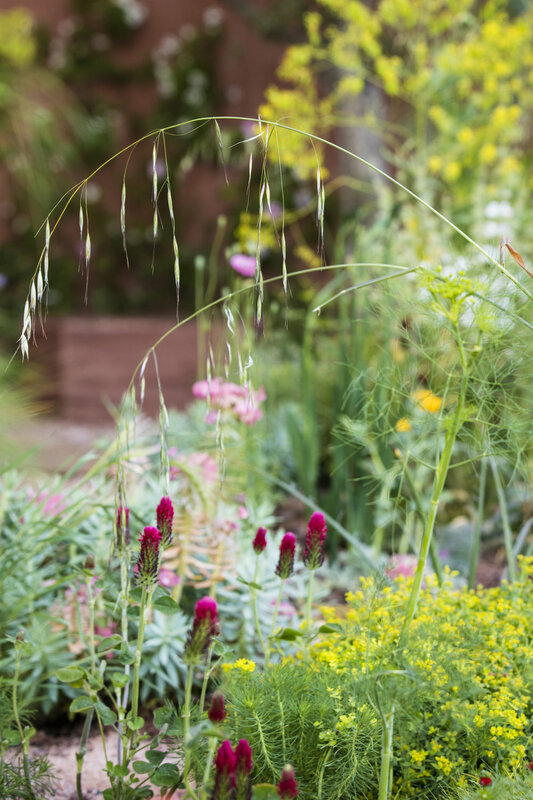 Many of the drought-tolerant plants such as Helichrysum orientale, Euphorbia spinosa and Dorycnium pentaphyllum are relatively hardy in the UK if sensibly sited and are suited to our warming climate. 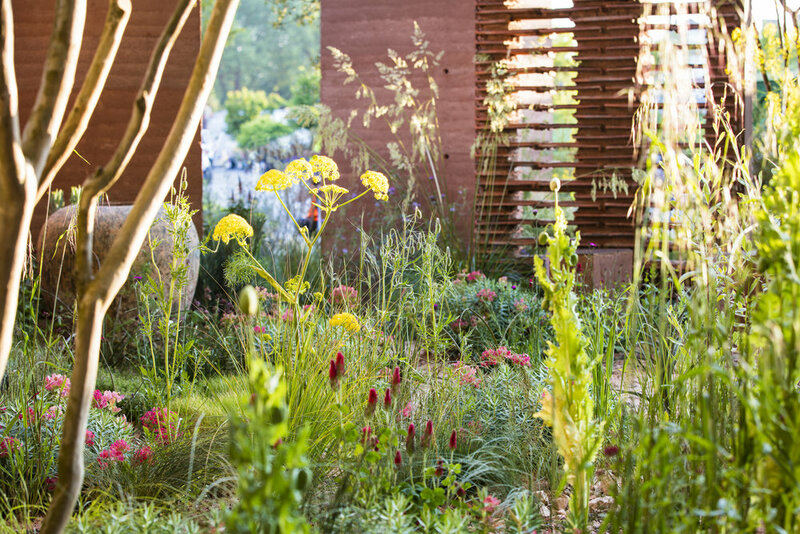 All of the garden – including the rammed earth walls - were created insitu at the Chelsea showground. Realising this ambitious design would not have been possible without the exceptionally hardworking and creative team drawn together by Crocus.